Easy soft flatbread is a really quick and simple bake, perfect for those last minute meals when you want some fresh made bread. This recipe for easy soft flatbread is very straightforward. In fact it’s one of those recipes we all need in our repertoire. 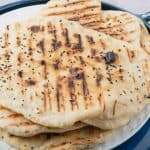 There is nothing better than these warm flatbreads when you fancy fresh bread, but time is against you. We don’t always have time in our busy lives to bake a fresh loaf of bread and these flatbreads are ideal for such occasions. Delicious home made bread on the table in no time. We love to add nigella seeds to our bread as they add extra flavour and a bit of crunch. However some toasted cumin seeds would also work well. Flatbread doesn’t require to rise, merely bubble up and char a bit. therefore no yeast raising agent is required. We have made yeasted flatbreads but we prefer this simple quicker version. In this recipe we use self raising flour together with Greek yogurt which adds moisture, keeping the flatbreads soft. Also as there is no yeast, the dough doesn’t need to rest. We tend to make up the dough and set it aside until we are ready to cook. 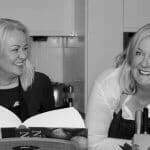 Allowing us to get on with any other food preparation. 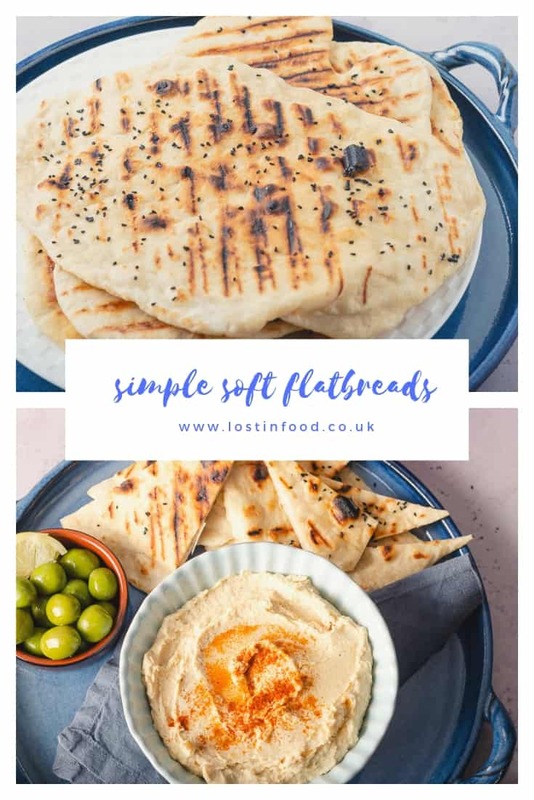 These easy soft flatbreads work well on a mezze platter, they are perfect to scoop up a creamy hummus and other such dips. 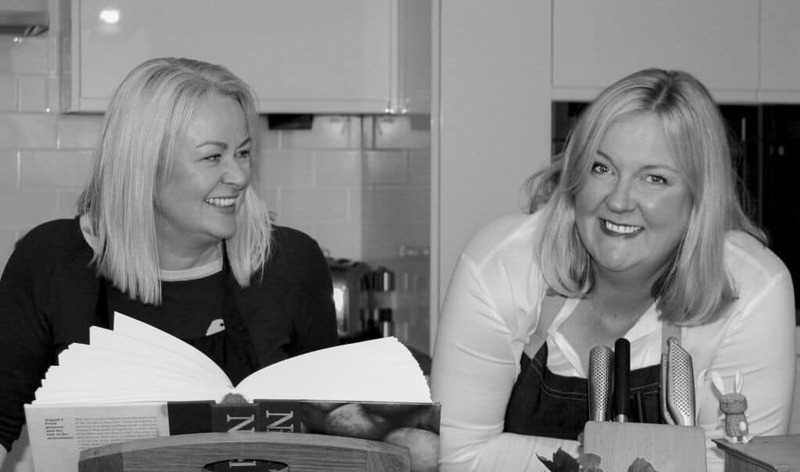 Serve alongside your favourite curry and use it to mop up any sauce. 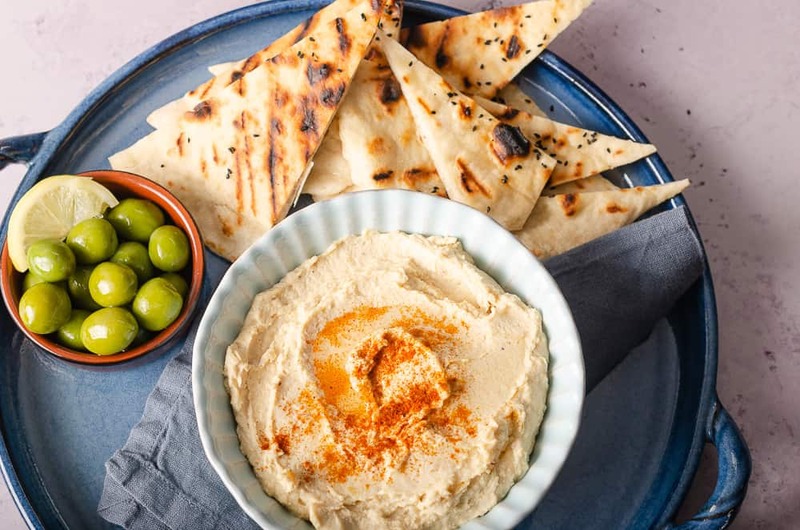 Looking for something to go with these flatbreads then why not try our Creamy Hummus, or for something a little different Roasted Carrot Hummus. Also delicious with our Tandoori Prawns. 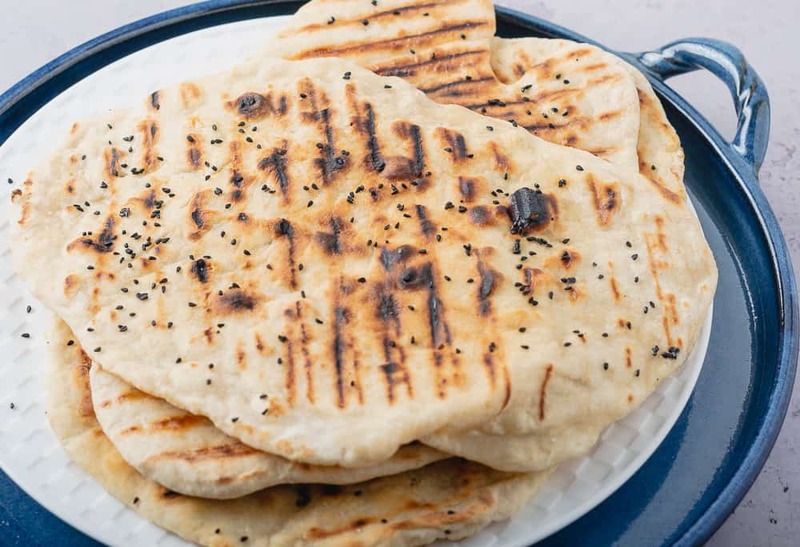 Simple to make and deliciously soft, these flatbreads can be made in under an hour. Easy for novice bread makers. Place the flour, salt, yogurt and nigella seeds in large mixing bowl and stir to combine. Gradually pour in the water while mixing to form a somewhat sticky dough. Depending on the make of flour you may need slightly more or less than 100 ml water. If you are using a hot grill pan,heat to medium high. Separate the dough into 4 pieces. Lightly flour your work surface and gently roll out each piece of dough to 1/2cm thickness. Place on the griddle pan and cook for 2-3 minutes each side. The flatbread is best eaten on the day it's cooked as there are no preservatives in the bread. However they can be cooled, frozen and reheated at a later date.